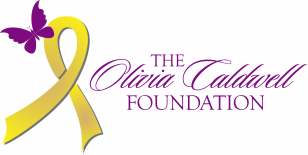 The Olivia Caldwell Foundation relies tremendously on the support of our wonderful donors to be able to continue the fight to find a cure for pediatric cancer! Without the support of our individual and corporate donors, we simply wouldn't be able to continue our efforts. We are pleased to now offer a membership to OCF's Major Donor Society for any individual, foundation, or corporation who gives $2,500 or more in a calendar year! What Does A Major Gift Fund? Can support the work of a professional grant writer, who can help the researchers obtain millions of additional dollars in Federal Grant Funding to further a research project. This allows the researchers to spend their time in the lab rather than spending countless hours in their office writing an extensive federal grant request. Can pay for a bioinformatic scientist to do an analysis of “big data,” containing millions of bits of data from multiple tumors to develop new ideas about therapies. These analyses typically involve data from multiple centers and require several weeks of dedicated attention. Can pay for a senior scientist to address a very specific issue that stands in the way of a cure for a particular tumor. For example, it can help them determine how to alter a particular therapy so the treatment can cross the blood-brain barrier to reach the child's tumor cells. Can support the upkeep of an extensive database of all clinical details and tumor samples that have been collected throughout the years. This is an invaluable resource that allows researchers at Children's Hospital to answer inquiries from scientists all over the world who are dedicated to finding a cure. Can offer a completely new therapy in a trial to children who currently don't have any other treatment options. This is imperative, because insurance won't pay for experimental therapy. This major gift will support such a trial giving hope to children, usually at relapse, without any chance of cure with known therapies.